In Africa, the continent home to the largest youth population in the world, educators face a critical challenge: how to teach an ever-growing number of students using limited resources while also helping young people develop skills for the future. 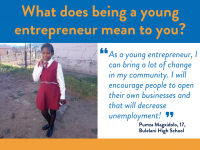 Entrepreneurship is a resourceful approach to funding education while also giving students and out-of-school youth a platform for gaining real-life professional experience. 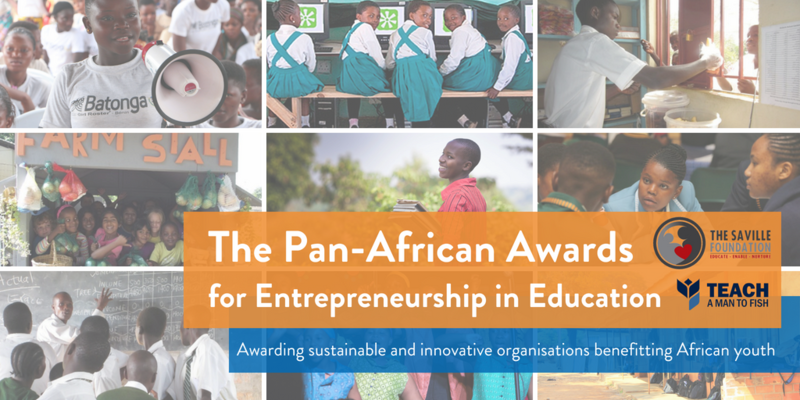 Now, organisations providing young people with hands-on business experience or using community-based business solutions to fund education have the chance to win $15,000 USD for their work through the Pan-African Awards for Enterprise in Education. For over 10 years, The Pan-African Awards have recognised organisations harnessing entrepreneurship to improve the quality and relevancy of education across Africa. The awards are generously supported by The Saville Foundation in South Africa and managed by Teach A Man To Fish: an international NGO tackling poverty and youth unemployment through entrepreneurship and youth-led school business programmes. With a focus on sustainability, the competition looks to award organisations with a demonstrable history of benefiting young people while also looking to continue and grow their impact in the future. 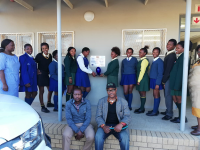 Last year’s winners, the Batonga Foundation, were selected for their innovative “Girls' Club" programme, which helps female youth develop entrepreneurial and life skills through business start-up mentorship, training and a financial literacy curriculum. Now they are using their prize funds to open their programmes to younger girls, which they estimate will double the number of participants! Past winners have also included a single-mothers’ cooperative funding their children’s school through microcredit savings, as well as a circus company offering students performing arts business training. But whether it is a multinational NGO or a community business, all winners have demonstrated a commitment to educating and empowering young Africans. Applications are open until August 14th, 2018 for the chance to win a top prize of $15,000 USD and two runner-up prizes of $5,000 USD each. One organisation will also be selected for the Future Partner Prize: an opportunity to partner with Teach A Man and win $5,000 to implement the School Enterprise Challenge with their network of schools. To apply, click here and complete the simple online application form. Submitting an application is free of charge and is open to all organisations with programmes or projects in Africa.